Some rush-hour train services ran virtually empty today as tens of thousands of passengers made alternative plans despite strike action being called off at the last minute. 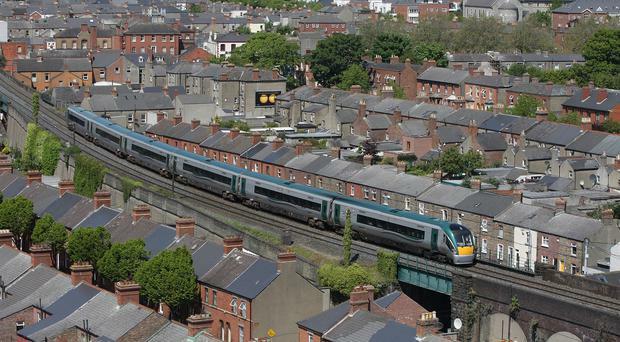 One of Irish Rail's flagship services from Cork to Dublin left the station with just 10 passengers on board the 417-capacity carriages. More than half of train passengers either stayed at home or took cars or buses after Siptu and the National Bus and Rail Union (NBRU) talks with Irish Rail bosses continued into the night. A threatened three-hour morning stoppage was only called off at 4am - two hours before it was due to begin, and after days of negotiations. Many normally busy Intercity and Commuter train stations were deserted despite train drivers turning up for work as normal and full services operating on all routes. Irish Rail estimates the already loss-making company dropped 150,000 euro in lost ticket sales as a result of the disruption. "There has been an at least a 50% reduction in the numbers travelling this morning," said spokesman Barry Kenny. "It was particularly pronounced on the Intercity services, where people obviously need greater clarity on their travel plans. "There was some more flexibility in the commuter area." The normally busy 7am service from Cork's Kent Station to Dublin Heuston set off with just 10 people on board. The strike action was called off in the early hours of the morning despite a lack of agreement between union leaders and Irish Rail bosses. Outstanding issues are to be decided by the Labour Court. Transport Minister Paschal Donohoe said the decision to call off the industrial action was welcome but came too late for many who normally take the train. "Clearly there were determined efforts by all involved to seek a resolution to the dispute, which unfortunately was not possible," he said. Irish Rail apologised for the inconvenience and uncertainty caused. The planned strike would have cost the company one million euro as 40,000 users normally take the 6am-9am Intercity, Commuter and Dart services. Unions have been fighting for pay rises in a long-running row over productivity and cost-cutting measures as Irish Rail struggles under losses of 135 million euro - 1m euro a month. The first three-hour stoppage took place on October 23. Dermot O'Leary, general secretary of the NBRU, said the unions withdrew from talks in the early hours of the morning because of the "complete and utter disdain" shown by Irish Rail towards workers' demands. "This is of course systematic of the way the company have been conducting industrial relations over the last two years," he said. Siptu o rganiser Paul Cullen attacked the " continuing intransigence" of Irish Rail in refusing to directly negotiate with unions on key issues. "The talks leading up to the suspension of the scheduled industrial action by our members did not end in agreement," he said. "However, in deference to the request by the Workplace Relations Commission to attend an early hearing of the Labour Court it was felt that the suspension of the work stoppage was in the best interests of our members. "Siptu will be presenting its case that the management of Irish Rail must honour its commitments in relation to past productivity, which were agreed in 2014, at the forthcoming Labour Court hearing." Mr Cullen said the union is looking for a hearing before the court as soon as possible.